Hey horse girls! I am writing a new book called Burning Desire. Here is a short summary. Enjoy! 15-year old Annie Ziegler has been working with horses since before she can remember. She is a prelim event rider and has always dreamed of one day riding on the Olympic event team. Five months before the Olympic qualifier show her horse, Jazz, goes lame. She is told he needs to be retired. While her dreams are momentarily crushed, a new horse shows up on the farm. 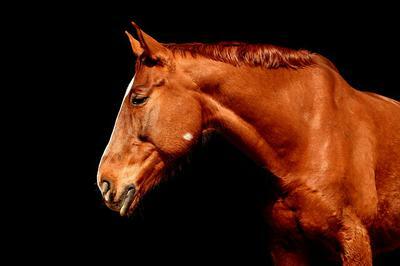 Chance, a chestnut event horse destined to slaughter, turns Annie's whole life upside down. "Come on, Jazz." I said as I canter my horse towards a blue oxer. He perked his ears as I shorten the stride and canter the last stride before the jump. We leapt over it without difficulty but as soon as he landed I knew something was wrong. I slowed him to a walk. He began to limp slightly. I dismounted and gently lifted his right foot. He threw his head up in pain. "It's okay Jazz, let's go get you checked out by the vet okay?" I give him a reassuring pat. This was the last thing we needed 5 months before the qualifier show. Please keep writing, it is super good! I can't wait until you post another chapter! That is such an awesome book! That sounds awesome! Please post it soon!